A month after Jim Shepard resigned as CEO of BC’s second largest forestry company, the Liberal government appointed him Senior Policy Adviser. 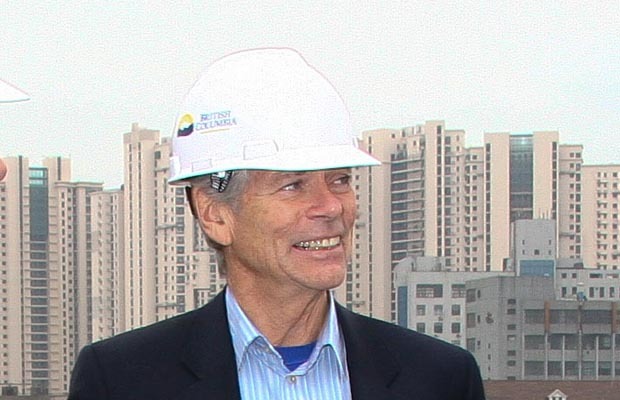 After a year, Shepard, 73, is leaving to form The Concerned Citizens for British Columbia, another campaign to reelect government friendly to large developers and industrialists. This is not Shepard’s first effort to influence this province’s choice of government or to determine its policies. Bill Tieleman calls him an ardent NDP hardline opponent and Shepard’s intransigence was demonstrated years ago. A November 1998 piece in the National Post said NDP Premier Glen Clark had worked hard to improve the relationship between his government and British Columbia’s business community. That month, nearly 1,000 business leaders gathered in Vancouver to develop new economic policies for the province. The B.C. Business Council of major corporations, headed by ideologue Jim Shepard, orchestrated the meeting. They were flatly told to forget it. “They’re not invited at all,” said Jim Shepard, the chief executive of Finning International Inc. and chairman of the Business Council of B.C. So much for cooperation between the industrial elite and and any government not in their favour. Not surprising though because multi-national corporations act in their own interests, not in the interests of the general public. That leads to philosophical approval of companies residing in tax avoidance clouds while exporting our national wealth, resources and jobs. Three months after BC Liberals took office in 2001, they appointed Shepard a director of BC Rail. The Liberal strategist and opponent of public enterprise stayed there until the CN’s takeover of the railroad was completed in 2003. Cynics believe this reinforces claims that the Liberal 2001 platform promise to “Not sell or privatize BC Rail” was deceitful from the start. Shepard has been a director of numerous large corporations and in 2007, he joined Canfor as CEO, Despite losing a third of its revenues during Shepard’s tenure, Canfor is the province’s second largest forest company. Industrialists may claim to believe in “free” enterprise, but dominant enterprise is a better descriptor. We’re left to wonder how much that depends on the influence of political insiders, people that usually control the flow of money to politicians and extract favours in return. I think Andrew MacLeod’s ‘We’re Going to Lose another Mill‘ in The Tyee provides a strong indicator that Shepard and BC Liberals believe more in dominant enterprise than in free enterprise. The head of a company whose British Columbia mill may have to close because it can’t get enough wood blames the provincial government for the situation. …WoodEx owns a medium-sized mill near Edgewater in the Columbia Valley, where it specializes in value-added products and custom-sized lumber. In November 2011 its largest local competitor, Canfor Corporation, bought Tembec Industries Ltd., the only other major player in the area. The transaction, which closed in March, gave Canfor two more mills and added access to 1.1 million cubic metres of timber a year. By WoodEx’s reckoning, it also gave Canfor control of 99 per cent of the annual allowable cut on Crown land in the valley between Golden and Skookumchuck, making it difficult to bid against when wood comes available through B.C. Timber Sales. …”By dominating the timber-sale bidding, Canfor could very well control the distribution of timber and WoodEx would be required to shut down or close its operation through lack of consistent wood supply,” he said. It seems BC Liberals are not actually supporters of free enterprise. Monopolies are preferred. Don't you mean that Jim Shepard had the “Inside Track” when it came to bobbles, like the Queens Golden Jubilee medal? What we see happening is the long drawn out new age Corporatist/Fascist take over of democracy. Slow and steady, the agents of the corporatist/Fascist elites have been subverting the publics right to own major infrastructure such as railways and power grids. It must be remembered that a one Adolph Hitler only succeeded to power when he had the backing of the Corporatist/Fascist industrialists such as Krupp and Farben; power that almost lead to the complete destruction of Germany. The industrialists survived the war of course, as they almost always do. In BC, the corporatist/fascist BC Liberal government stole BC Rail from the public domain and now are attempting to bankrupt BC Hydro, the jewel in the crown, so corporatist Fascist political cronies can buy BC Hydro for a song. Mr. Sheppard is one of many industrialists who follow Corporatist/Fascist doctrine that free enterprise is free, for the industrialist corporatist/fascist elites, especially if the taxpayer subsidized free enterprise elites. We live in evil days and old Adolph must be smiling as his corporatist/fascist doctrine now controls so much of the West, who some generations earlier sacrificed so many to defeat corporatist/fascist German regime. Everyone wants to be the Banker and own Park Place. Weren't the Railroads a profitable commodity? The game is always being “played”. Those that chose to manipulate, do. Mostly out a warped sense of entitlement, elitist agenda's and ultimatley, an over blown sense of privilidge. They get away with it, because society accepts their view of the world. Successful people have to be right, correct? Not. If you want a world, where economically deviant “fascist's” rule, let this individual and his “bent” view of economic reality continue. Free enterprise has always been a tough pill to swallow for the masses, because of the limited few that can attain the benefits, while the rest of the populace stays at or near, the bottom. Balance is to be feared and prevented at all costs. The less power in the hands of the masses the better. The more wealth and power in the hands of a few, is the real goal. Democracy for all its virtue's, really only gives a “sense” of participation in our current economic reality. In truth, democracy provides an “illusion”, to the masses, and allows for this individual and his elitist agenda to pursue his intrests, under the guise of continuing free enterpise, where “everyone” can participate, if they work hard enough. The “game” has always been to control the wealth of the public and you “dictate” your vision, of democracy. The “engineering”, of 21st century “economic fascism”, has been ongoing now for the past 30 to 50 years. Groups like the Bildeburg Group, have long been the source of the deviance that has “filtered” into western governments, institutions, think tanks and the educational system. The hidden agenda, is to return to an era of “robber barons and serfdom”. The wealth is controlled and the masses exploited, to pay for that wealth. Crown corporations or assets are sold off so that the public, loses control of them, and ultimatley pays for them a “second” time, usually to a corporate entity, “friendly” to the governing party. A very sad reality, “theft” perpetrated by democratic governments… like the BC Liberals. Hmmmm? Only in the construction racket? Campbell is a traitor to BC people, who works for Harper. So do Boessenkool and the Christy Clark BC Liberals. What the hell is Boessenkool doing, in with the BC Liberals anyhow? Harper's party of 1989…the Northern Foundation Party, seems rather shady. They said, Harper is linked with Nazi intellectuals and Christian fundamentalists. I agree, this certainly fits Harper's character and personality to a T. Harper's obsessive control, lies, deceit, corruption, tax abuse, behind the peoples backs sneak deals, dirty tactics and dirty politics, and, I won't be the least surprised if Harper cheated to win. He is trying to quash, the robo-call election cheat investigation. Harper's robo-call investigator, is being investigated himself. Along with everything else…Harper has lawsuits against him as well. Clark joined the Canfor board midway through Shepard's term as CEO. More likely, it is the Pattison people that pushed Shepard out the door. The year before he took over as CEO, Canfor sales were $3.84 billion, net profit $472 million. During 4 years under Shepard, Canfor sales averaged $2.6 billion and they averaged $150 million a year in net losses. Should have heard Shepard on Vanilla Bill this morning – we got to hear about how smart and innovative Christy is, all while Bill had nary a question or counter. I don't mind Shepard being given a platform – that is part of a democracy – but to have no balance (no one from the NDP or Conservatives) and to give him a solid half-hour of advertising was a bit blatant.